Graffiti is a controversial topic and a widely infamous form of expression which, interestingly, falls awkwardly in between the two categories of ‘art’ and ‘vandalism’. It’s one of those unsolvable, continuing, Möbius strip-like subjects that have people fervently arguing on both ends. While graffiti is respected and even preserved sometimes as pieces of original artwork in some places, in others, it’s degraded and frowned upon as a crime. Lee Quinones is one of the rising artists involved in the New York City Subway graffiti movement. Here are some of the comments on Lee’s video about art on the Khan Academy website. The collision of viewpoints on the issue is interesting. 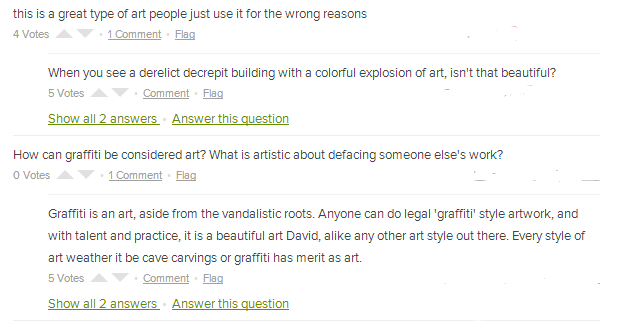 While graffiti does definitely have merit as art, in a way it’s also destroying someone else’s art(the building). So how should the logic work? I think it depends on where your personal values lie. We’re not yet completely sure whether graffiti should be a severe crime or a harmless antic, but one thing we do know for sure is that it’s becoming more and more pervasive, and it’s unstoppable. In fact, graffiti can be seen almost anywhere in the world, sometimes in the most seemingly impossible places. As you can see, graffiti can exist on wherever and whatever we, the human race, can get our hands on. Since it’s such a widespread issue, even TV series like Switched at Birth or 90210 feature graffiti as a thought-provoking topic. Graffiti also makes frequent appearances in music videos or as backgrounds of urban magazine fashion shoots. 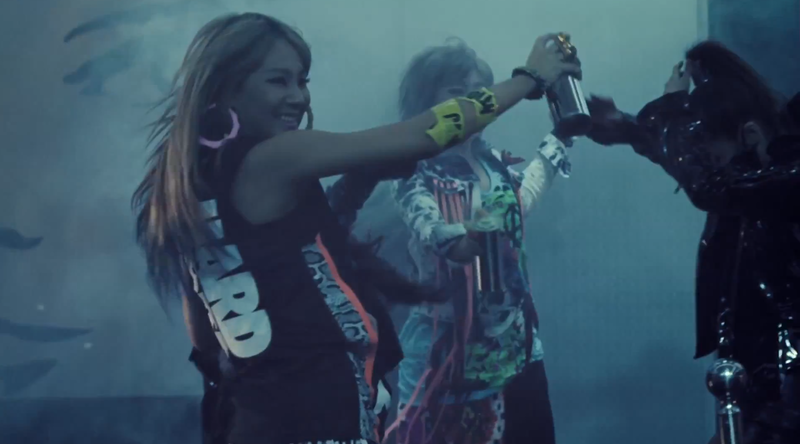 I remember my mother saying “This music video beautifies graffiti too much.” while we were watching 2NE1’s music video for ‘Ugly’. And I remember thinking, “Mum, it’s just a music video! They’re trying to express freedom and rebellion, let them do what they have to do to let the message get through!” But at the same time I also felt uncomfortable because of my acknowledgement of mass media portraying a type of vandalism as merely cool and beautiful. I’ve noticed that mass media targeted towards the younger generation depicts graffiti in a way that makes it seem artistic, cool, and even beautiful. In modern music, movies, TV etc.. graffiti represents youth, freedom, excitement, the art of the people, and ironically, exquisite crime. I think this is because younger people are usually more compelled to graffiti as an art form. It’s the youth that bears the role of being the rebellious rugby ball in society. It’s the youth that wander around the streets with their tousled hair and ripped jeans, excitedly looking for a nice wall to paint their heart out on. Amid all this confusion, what I find the most intriguing about this strange art called graffiti is that in a lot of cases, the things written on the walls are actually very deep and thought-provoking, and the fact that these meaningful messages or implications are put on walls in the context of graffiti makes it even more artistic, in a certain way. For graffiti artists, the process and the actual deed of putting their art up, against social regulations, are indeed part of the art itself. This almost convinces me that graffiti should be considered as legit art, since it does what art should do-provoke people’s emotions and thoughts-and does it well, sometimes it expresses certain themes in a much more convincing way than it would have been if it were hanging on the wall of a posh art gallery. Don’t forget to comment, like, and follow. To comment or like, just click on the title of this post, then scroll down. You’ll see the Like button and Comment box a the end of this post. I personally think that if someone wants to make art, they should do it somewhere where it isn’t ruining a building or something that doesn’t belong to them. this is because it costs a lot of money to get rid of graffiti, and it isn’t fair to do that. Also some people do graffiti without any intention of the art behind it, but rather as an act of rebellion and vandalism. I respect your opinion. In a way, graffiti does also destroy someone else’s work. From a societal perspective, graffiti is indeed just another form of vandalism… but do you agree that some graffiti can actually be amazing artwork? What if the process of rebellion behind the drawing on the wall has artistic value? Very thought provoking post! I can see both sides of the argument but I fall into the vandalism side of it. I have seen too many beautiful things destroyed by graffiti. And gang tagging with graffiti is a very serious problem. All graffiti gets tainted by the gang association. If I see graffiti, I immediately think dangerous gangs are in the area, fairly or unfairly. That aspect of the argument not only damages someone’s personal property but it devalues it as well. And the neighborhood, too. Graffiti artists are talented artists but hurt themselves by expressing their art at someone else’s expense and that doesn’t do them or their art any good. Yes, I agree that graffiti often induces feelings of repulsion and intimidation. It has become very tainted, and it’s also true that graffiti does damage a lot of things, such as others’ personal property. However, what if the act of rebelling against social norms by illegally drawing on walls could be regarded as ‘art’? It’s very confusing, which is probably why a definite, unified answer hasn’t emerged yet. NIce photos and thoughts. I love graffiti…like everything else, when it’s done well. The historic buildings of Milan and other Italian cities are covered in scrawled and sprayed markings but there’s no artistic intention that I can see, just destruction or territorialism. Here in NYC, on the other hand, although it’s not like back in the heyday, there are some impressive walls of street art and I love to see them. Just as not everyone is a great painter, not everyone with a spray can is a great graffiti artist. Thanks! What’s your definition of ‘done well’? I understand what you mean, but what if the artist was actually expressing an artistic message through his/her ambiguous sprayed markings on the wall of a building? Would you call that ‘art’? Well, I have to say I see a lot of scrawled words and markings and to me they say more about territorialism (like a cat peeing to establish its ground) or ego than art. Like all art it is open to judgment but, I think, even more so when it’s on the street. The democratic nature of graffiti (no gatekeepers, no curators, no selection process) means everyone is entitled to an opinion on it as they are confronted with it when they pop out to get a pint of milk. I want my environment to be improved by it in some way. I don’t know if graffiti should just be the artist’s vision alone but the artist’s vision within the context of the environment.That’s when it works really well. Otherwise he could work in a sketchbook…Do you think I sound a bit harsh?.. I think graffiti is a great form of expression. 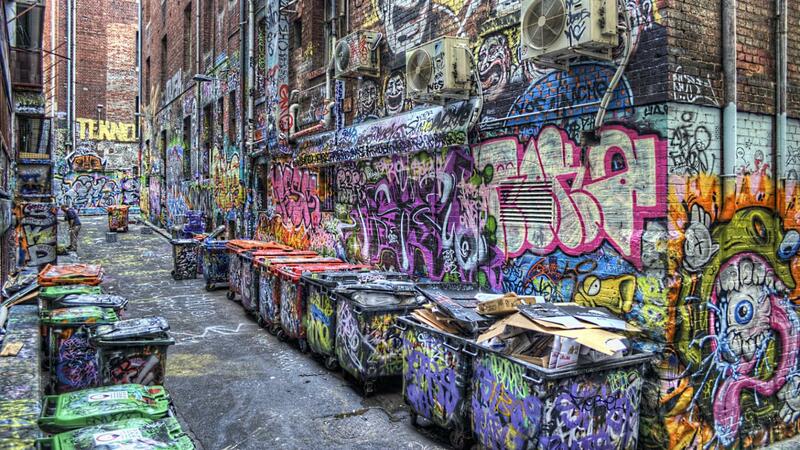 I mean look at how people were able to express themselves in the form of graffiti in the Post Modern times. But it shouldn’t be in a destructive manner, it takes away the artistry and puts graffiti in a negative light. I agree… the more I think about the issue, the closer I get to the conclusion that graffiti can express certain messages, but when it crosses the line and becomes destructive, it usually fails to send the artistic message through to the public, even if the artist was spraying with artistic intentions. Nice post. 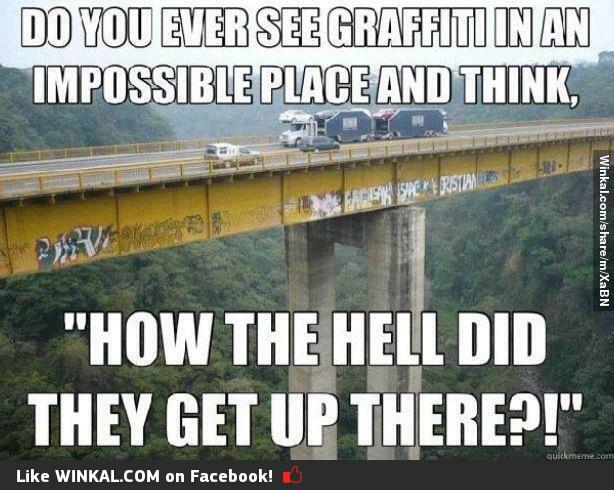 Yea, there is amazing and beautiful graffiti on some walls. But where I live and work now In Central Asia, it’s all pretty crude. Just gangs marking their territory. Even back where I come from in Los Angeles, there are some truly exceptional pieces – but they are the exception. The rest is gang markings and cat pee, as Jackie and the pundit said. All good! Great that you’re back! How were exams? Some genuinely wonderful information, Gladiolus I noticed this. “Nothing is so bitter that a calm mind cannot find comfort in it.” by Lucius Annaeus Seneca. Cool. Thanks for stopping by! So many comments concerning graffiti defacing buildings. Such graffiti are vandalism, not art, regardless of the makers intent. Suppose for a minute that you own a storefront worth, say, $250,000. You go to open up one morning and find messy balloon-letter graffiti covers the side wall. It is crass and trite, utterly valueless to anyone but its author. Your customers are put off by it, and business slows. You must foot the bill to fix it. You have been vandalized, no question about it. Now consider this: you arrive in the morning to find Banksy has graced your building with a painting. It is lovely and thought-provoking. Curious people stop to look, word spreads, it appears in the paper, and throngs appear. Your business booms from the increased traffic. You learn that the painting might bring as much as $2 million at auction. Have you been vandalized, or given a gift? Whether graffiti is art or not depends not on where it is or how it got there, nor even what the intention of the maker was. The most exquisite maker of bubble lettering cannot make art if he/she has nothing worth saying. The art resides (or not) in the work itself, whether it is in the Louvre or on a subway wall. I’ve located this blog to be very gratifying to the eyes. I adore what you have done with the website’s appear and feel. or point me into the correct course? I use the Eventbrite theme, which is a free WordPress theme, but I did the personal designs myself(ex. the heading of the page, the photos in the background etc.) Thank you! I initially had a suspicious attitude towards the idea of graffiti but managed to have a change of heart after seeing people use graffiti to promote social causes of my liking. On another note, I’m too busy to make graffiti myself though. I think I stand in the middle. I agree with both sides of the whole graffiti debate so, yeah. It does feel sort of refreshing to see graffiti promoting reasonable social causes though, haha. I don’t think I’ll have the courage to actually do it myself, especially not in Korea. 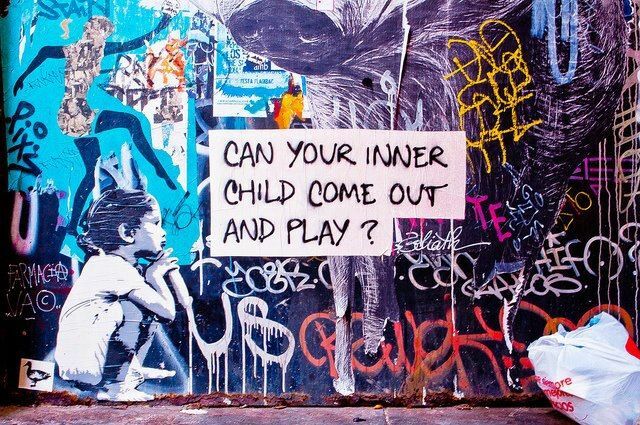 I am doing an art review for my high school research class and I was wondering if anyone knew who created the “Can your inner child come out and play?” graffiti art? Please and thank you. Do you know where to find the place on the first picture?